Services to any prepaid mobile number will be discontinued if there is no usage i.e. no voice call (incoming/ outgoing), SMS or data for any continuous period of 60 days. No refund will be given for any unused talk time and validity on the card. The mobile number will not be usable after disconnection. hii..is this showroom will come soon in pudukkottai? Reliance Netconnect service offers you Hi-speed wireless internet access across India in over 24,000 towns and 6 lakh villages, as well as along major highways, railway routes, airport lounges and remote locations. 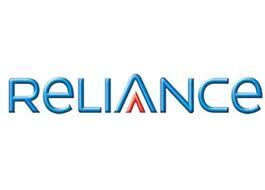 Reliance's cutting edge CDMA 1x network can give you high-speed internet access, up to 144kbps. Reliance offers Hi-Speed 1x service through a suite of Reliance Netconnect products like PCMCIA and USB Modem data cards as well as data cables for mobile phones and fixed wireless phones. These can be used to connect to the internet from your laptop and desktop. Uninterrupted high-speed wireless internet connectivity, across 24,000 towns, 6 lakh villages and counting more. Better surfing speeds, with download speeds up to 144 kbps. Upto four times faster speeds than dial-up.